Here's my heart, just for you! This kitty embodies the abundant love our cat friends offer us. 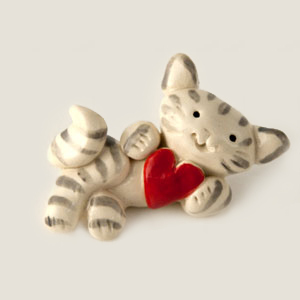 At 1.5 inches tall, the Love Kitty Tabby has a big heart to give you.